The Western River guides are "Canyon" people. They have spent most of their lives in the canyon, in fact they probably sleep outdoors more than in a bed. They were a great group of river guides on our trip. It was wonderful to spend time with a great group of people and the group dynamics for our trip was fantastic. 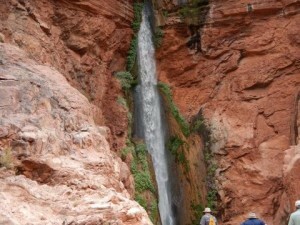 The Grand Canyon 6 day trip is exactly long enough, not too short and not too long. With great food, good conversation, and fun on the Colorado River. If you are afraid of the unknown, don't worry about it, it will all be fine. Western River Expeditions has it all figured out! Trust Western, follow the checklists and read the pre-trip material. You will have a great time!